As my first blogs worth a read post went down so well, I’ve decided to make this a monthly thing. I read a lot of blogs and love checking out new ones, so these posts will give me a chance to showcase my favourite reads. It’s nice to share the love, right? 739051 | Not only did Isobel’s blog name intrigue me (the numbers spell her name on a calculator – mind blown) but I seriously love her outfits. I’m head over heels for her recent dungarees and striped top combo! She’s super lovely too, so go check her out. The Little Magpie | I have already fangirled about Amy in my favourite blogs of 2014 post, but her recently more 70’s rock and roll vibe has seriously caught my attention. It’s one of my favourite styles and she’s been completely nailing it! Such envy. Tilly-Jayne | I could probably ramble on and on about how much I adore Tilly’s hair colour, but her outfits are way up there on my love list too. She shares a mutual appreciation of minimal style and muted tones, so I honestly can’t fault her. Josie’s Journal | I’ve been a looooong time reader of Josie’s wonderful blog. We have super similar style and she has a love for Isabel Marant which is similar to mine which means that we’d make the best shopping buddies. Definitely one to read (she also makes super cute homemade cards too!). Fashion Slave | Sophie has the best style, beautiful photos and top lipstick choices. She’s made me want to buy so many of the pieces she wear and, while I may only be a relatively new readers, I’m definitely gonna keep my eye on her blog! Beauty Edition | It was Sam’s photography that originally caught my eye when she sent me her link in a blog chat months ago. It’s so clean and fresh, right up my street! Her makeup is always stunning and she runs a youtube too – go take a peek! Lelore | Another one for gorgeously clean photos, Laura advertised with me a while back which lead me to discover her wonderful blog. She posts about everything from favourites to individual reviews, and even sneaks a few style ones in there too. Lovely blog from a lovely person. London Beauty Queen | Hayley is one of my long term favourite, not only for her opinions and always standing for what she believes in (especially in the blogging community), but for her wonderful beauty blog too. She gives expert advice from a full time blogger perspective and I would never doubt a word of it! A blogger I can always trust. Laura Lou | Being a qualified makeup artist, you know you can rely on Laura for honest and thorough reviews. For those who are a fan of seeing makeup on, definitely check out this gal for her expertly applied products and brows that always bring their A game. The Girl in the Bowler Hat | Now, I may be biased because Amy is my friend and helps me with my outfit photos (and to eat cake and raid Primark’s home section), but she does run a truly lovely blog too. I put her in the lifestyle section, as it’s a bit of a mix of fashion, beauty and life so it’s the perfect balance of content. Gorgeous photos, great content and a lovely person, go click the link already! Bumpkin Betty | I discovered Jaclyn’s blog through her advertising with me last month and I’m oh so glad she did! I have fallen pretty darn hard in love with her photos and utterly beautiful content! Seriously guys, I’ll leave it there, just go check it out. Becky Bedbug | I adore Becky. Not only is she a total role model, but she’s always so perfectly honest and helpful on Twitter and I know I could ask her anything. 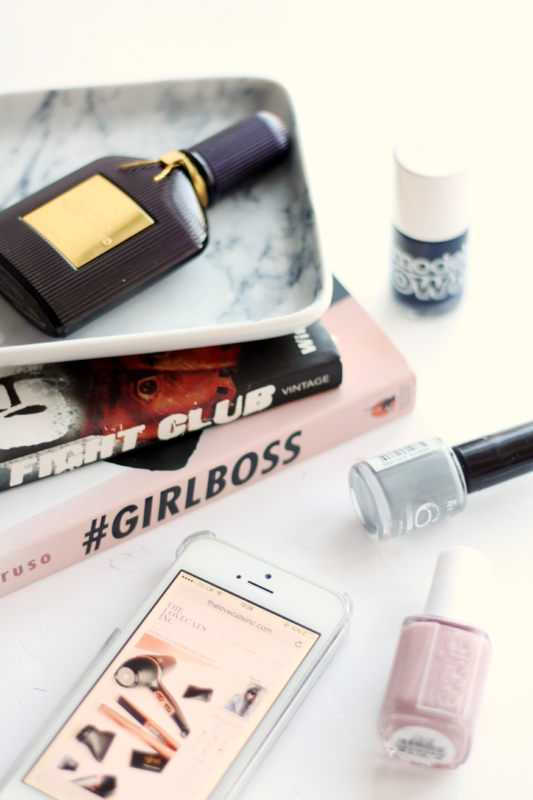 Her blog is a mix of all sorts, from books to posts on confidence to beauty and style posts. I just want to squish her! Lady Liquor | Catherine’s blog makes me so happy. I’ve read it for yonks and it’s been amazing to watch it grow! Her photography and composition is amazing and I love her variety of posts, as there’s everything from beauty to advice to interiors (her house is lovely!). Gurl knows how to rock a red/orange lip too. Pale Lily | A blog I like to save up and binge read, Sofia rungs a gorgeous website devoted to everything from beauty to health/recipes to personal posts to style. It’s beautifully composed and put together and is a bit of an escape – one for a Sunday afternoon! Make sure you enter my rose gold GHD giveaway! You can win the styler and the hairdryer.